Twitter gave users a sneak peek at some changes that are in the works, including comment threads and the ability to see when someone is online. Sara Haider, Twitter’s director of product management, showed off these new features by tweeting a couple screenshots. Haider says these changes are being considered in an effort to make Twitter more conversational. Threaded replies feel like a more intuitive way to follow a conversation. Although it looks almost exactly like Facebook’s comment system. In other words, it’s a welcome feature but nothing groundbreaking. Perhaps less welcome, on the other hand, are online status indicators. Where businesses and brands are concerned, the expectations users have for timely replies is already high. Could you imagine how high expectations would be if users could see that a business is online as they’re tweeting to it? If Twitter decides to go forward with this feature, hopefully users are able to opt out if they don’t want to broadcast their online status. Facebook Messenger offers the ability to see when contacts are online. Instagram offers something similar in its direct message inbox, being able to see when a user was last active. However, in each of those cases, users can easily opt out. The caveat is when users opt out of displaying their online status, they can no longer see when others are online either. There is no indication of when these changes are rolling out, or if they will even roll out at all. It appears that the company is gathering feedback before deciding to move forward. An update to Google Assistant on smart speakers and phones will allow users to speak more than one language to it at a time. Google Assistant previously offered support for multiple languages. However, it could only be set to speak and understand one language per session. If a user wanted to begin using another language with Google Assistant, they would have to first make adjustments to the settings. 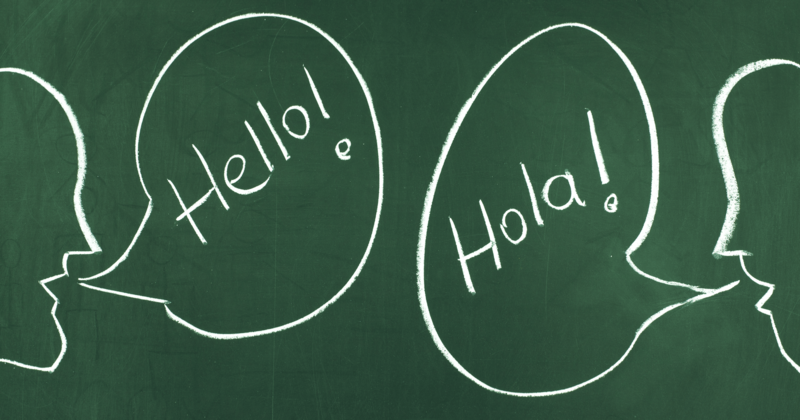 Users can now alternate between two different languages in the same session. So a person who speaks English and Spanish, for example, can communicate with Google Assistant in both languages at any given moment. This is a first-of-its-kind feature for voice assistants, and Google is the only one to offer it right now. Bilingual capabilities will be expanded to more languages in the coming months. Lightweight browser ‘Google Go’ received an update this week which will allow it to read any web page out loud. Google Go was introduced last year as a web browsing solution for people in areas with slower internet connections. In an announcement, Google says the Go browser now has millions of users. 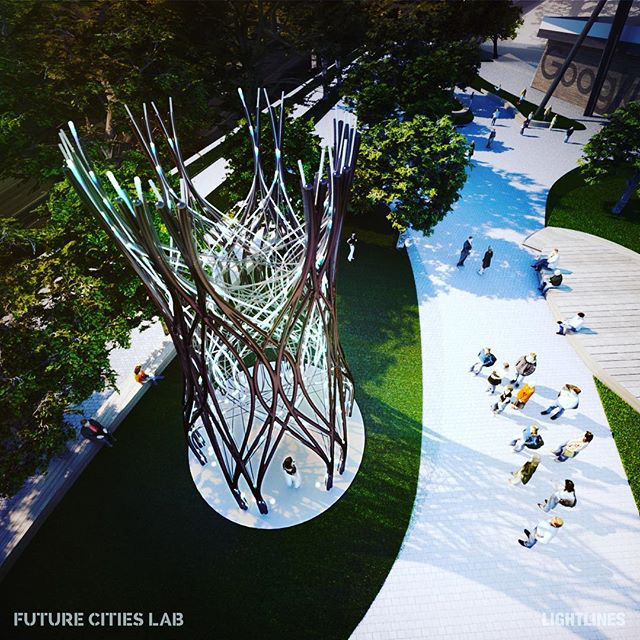 As the name suggests, it’s primarily designed for people on the go. There’s arguably a no more convenient way to consume content on the go than in audio form. That’s why Google is updating the browser with the ability to read web pages in a natural sounding voice across 28 languages. In addition, the feature will utilize AI in order to determine which parts of a page to read and which to leave out. So the listener will get only the most important parts of an article. Staying true to its original purpose, Google Go promises to be able to read web pages on connections as slow as 2G. Regardless of the connection, Google says this feature will use minimal cellular data. Users can listen to web pages in audio form alone, or follow along with the content on the screen as each word is highlighted while it’s read. Google hopes to bring this technology to more of its products in the future. Google Go is available exclusively for Android from the Google Play Store. In an effort to improve the “digital wellbeing” of its users, Google is introducing a new set of tools to YouTube. These tools are designed to help users take charge of the amount of time they spend on YouTube. YouTube viewers can become more informed about the time they spend watching videos, and implement measures to limit their viewing time if need be. Here is an overview of the new tools being added. From the account menu, users can see how much time they’ve spent watching YouTube videos. This data includes only actual watch time, not the total amount of time spent on YouTube. This is important for those who also use YouTube as a creator. Watch time is broken down into total time watched today, yesterday, the past 7 days, and a daily average. 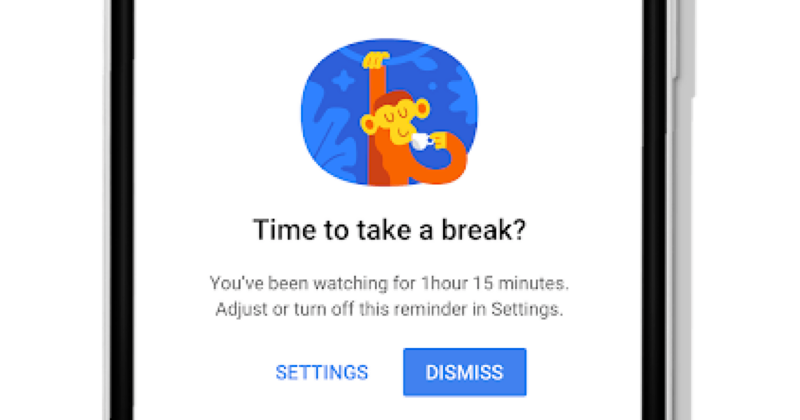 Users who feel they’re spending too much time watching videos can set a personal reminder to take a break. From the settings menu, users can specify an amount of time after which they would like to receive a break reminder. A reminder will then show up on the screen after the specified amount of time has passed, though it can be dismissed if the user decides they want to keep watching. Users who feel they receive too many notifications per day from YouTube now have the option to limit notifications to one a day. A single digest of notifications will be sent each day at the time of the user’s choosing. This can be controlled from the settings menu. These features are available now to all users. Google explains that changes to internal linking can make dramatic changes to a site’s rankings, both positive and negative. In a Webmaster Hangout, Google’s John Mueller explained the best way to update internal linking. Can Changing Internal Anchor Text Affect Rankings? A web publisher asked if changing anchor text negatively affect a website. John Mueller’s answer was unambiguous. “No. That sounds perfect. If you’re updating anchor text internally to make it more easily understandable by users then usually that also helps search engines to better understand the context of those pages. So I would definitely go for that. John Mueller’s advice illustrates a modern quality of how SEO is practiced today. It’s understood that Google looks at a site in terms of how a user would use it, how convenienced or inconvenienced the user would be and how well that user would understand the content on the page. So it kind of follows that anchor text that helps a user understand what they are clicking through to will also be useful to Google for understanding what that linked page is about. Will Updated Anchor Text Help Rankings? In the old days, it was understood that the search engine would be influenced by the anchor text to rank the page according to that anchor text. That was the understanding behind the use of H1 heading elements. Which might explain why the SEO community was a little surprised when in 2017 when John Mueller tweeted that publishers can use as many H1 heading elements as they wished. John Mueller providing an unexpected response to a question about the use of the Heading Element. Traditional SEO dictates that Heading elements are a ranking element. But Mueller is asserting that Google uses the data as a way to understand content. The use of anchor text falls into this same category where SEO sees anchor text as a ranking factor where Google sees it as just another way to understand the context of a page of content. Those are two different ways of understanding the what internal anchor text is about. The next insight John Mueller shared was that he discouraged the use of images when linking between pages. The main reason appears to be that image links do not help Google understand the context of what that page is relevant for. To me, this is a rare disconnect within the “if it’s good for Users it’s good for Google” paradigm. Aphorisms are great but sometimes they are also limited. There may be situations where linking with an image is good for users but apparently it’s not always good for Google. So it may be best not to take something like “if it’s good for Users it’s good for Google” as an absolute. Watch the Webmaster Hangout Video here: Changing Internal Links Hurt Rankings? 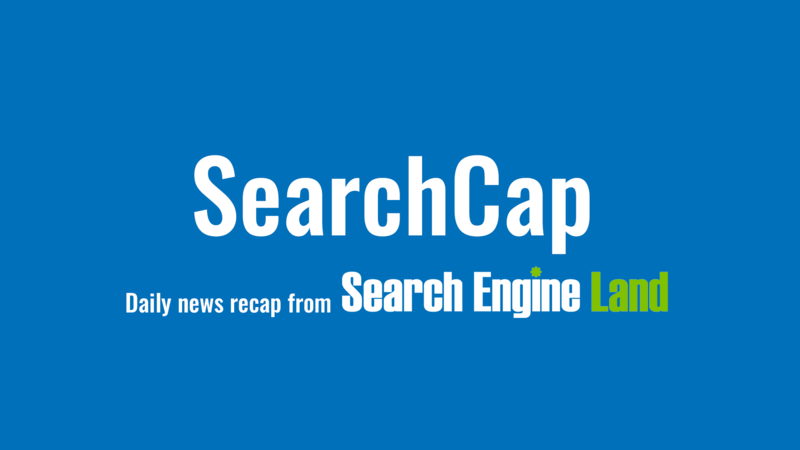 Sign up for our daily recaps of the ever-changing search marketing landscape. Whether you are just starting on your search engine optimization (SEO) journey or have been at it for years, there’s a good chance some part of your site can be improved. In fact, from the hundreds of small business websites we look at every year at Bowler Hat (my agency), it is rare we see a site implementing SEO perfectly and completely. Search engine optimization is not rocket science for any site, small and local businesses included. Yet, it is easy to get lost in trivial details before the essential, basic steps are put in place. This means for most businesses, there are easy wins on the table. This is definitely accurate when we look at SEO for smaller businesses. Getting 20 percent of the work done to get 80 percent of the benefits is key to getting an early return from your SEO efforts. Let’s look at the basics and how to use that 20 percent to score easy wins you can put in place today. Technical SEO can get, well, technical. Yet, don’t let the term scare you. If you make smart decisions at the outset, then much of the technical work is taken care of by your website hosting and website software. Selecting a search-engine-friendly content management system (CMS) like WordPress will ensure you have a technically sound base for your SEO efforts. With the right kind of CMS in place, you will then want to ensure you host the site in an optimized environment. In some recent testing we conducted, we compared a basic WordPress site on a standard web hosting to an optimized environment. The optimized environment did much of the technical optimization required to speed up WordPress. The physical file size was reduced by two thirds and loading time was reduced to one second from three. All of this was done by making smart decisions rather than doing lots of work and performing manual optimization. Or, 20 percent effort, 80 percent results. The primary takeaway here is to make informed choices regarding your website content management system and hosting environment. Get this right, and the complexity melts away. Understanding the language of your customers is the foundation that good search engine optimization is built on. This is key not only to improve your rank in the organic search results but also to help convince users to click on your site and then get in touch when they arrive. The following is a straightforward way to get a keyword list together. I would generally use a spreadsheet for this so we can consider search volume, difficulty and existing rank, which helps us optimize pages. 1. Seed List. Start by listing all the important elements of your business. Typically, for small businesses, this is products and services along with any locations if you are optimizing for multiple locations. Organize your seed keywords in a spreadsheet. Google Ads keywords tool. Get volume by location and an idea of difficulty plus cost per click (CPC ) for ads. Keywords that perform will typically have a higher CPC and competition. Keywords Everywhere. This is a browser extension for Chrome that shows the search volume by country and a range of keyword suggestions. It’s a cool tool to keep keyword research on your mind as you browse the web. Google. I am a big fan of browsing the web for your keywords. Google will make keyword suggestions at the bottom of the page and we can also get a handle on what our competitors are optimizing around. Understanding searcher intent is key to ensuring you optimize around the needs of your prospective customers so don’t skip this step. There are a number of paid tools including Moz, Ahrefs and SEMrush; they are all powerful tools but are not free. If you are a cash-strapped small business, take advantage of their free trials before signing up. Your goal is to find logical groups of keywords that relate to one page or service. You will also want additional values like search volume, competition and rank by keyword so you can make the best possible optimization choices. Emergency plumber. Emergency plumbing. Emergency plumber 24/7. 24-hour plumber. What we end up with here is an expanded list of keywords that covers the variety of ways in which someone may search. Ensuring you use all of these variations in your sales copy and on-page optimization ensures Google has confidence that you can help this user. And this helps you rank more highly and generate business inquiries. Another way in which we can help Google and users understand your site and business is to ensure the content is well structured. In my background as a web developer, we used the example of a filing cabinet to illustrate site structure. The site is the cabinet. The drawers of the cabinet are the major sections. The files in the drawers are subsections (pages) and, if needed, the individual documents in a file are content related to a page. We now have descriptive URLs that describe the page content. This helps tick another optimization box and can help with clickthrough rates. Google can now show the most relevant page and we get the potential customer to the most relevant information. This is where we tie all the work we’ve done together. Your keyword list can now be used on your well-structured site pages. This is why this procedural approach is just so important here. Rather than looking at the screen wondering how to improve optimization of your page, you can simply work through the following steps. Ranking factor studies tend to show the page title as the single most powerful on-page ranking factor and I would agree from a pure SEO perspective. But, page titles are also be thought of as a headline since they are frequently shown in the search results. Optimizing for clicks is as important as it is for ranking which is why I also like to weave in branding elements where possible. These page titles are relevant, optimized and have marketing smarts. Get this right and your on-page optimization is off to a good start. Meta descriptions don’t directly influence rankings, which is why they are often neglected. I like to think of meta descriptions as search engine advertising copy. The description helps build and reinforces the message in your page title which can help you generate more clicks. Use your keywords sensibly and detail your unique selling proposition (USP) and special offers. Include a call to action. Don’t overdo things here but use the opportunity sensibly and you can improve overall results. Next up is page content. We have more room to work with our keyword variations where needed. Be sure your content is easy to read and will resonate with your target audience. The last thing we want to do here is write something that sounds like it was written by a machine or is over-optimized and stuffed with keywords. Readability should always come first. Header Tags. H1, H2, H3 etc. Body Content. The text on the page. Images. The images you use to support your copy. Just use your keywords where it sounds natural; again, don’t overdo it. Make sure it reads well and you will be fine. When working with images, remember the image name, alt text and description can all be optimized. With page optimization done well, you will rank for a wider array of terms and you will be using language that appeals to potential customers. These are real-world benefits that also help improve your SEO. The last element here to consider is to optimize your internal links. Start with your primary navigation but also use links in your content. This can help improve your SEO but also helps guide users where we want them to go. Small business owners can benefit from interlinking service and location pages. For example, the service page links to all locations where the business operates and the location pages link to all the services provided in that location. This is a simple, common-sense way to use internal links that benefits the user and can help your SEO. For local businesses, local SEO is a subset of traditional SEO that focuses on helping local businesses rank. Here are two factors to focus on: Google My Business (GMB) and citations. This is Google’s business directory. You can provide information about your business to help drive visibility on Google Maps and in the search results. You will want to provide all of the relevant information about your business including the type of business (category), opening hours, contact details, website address, photos and more. Other features include posts, reviews and the ability to receive messages from customers. You can even create a simple, one-page website if you are just getting started. Suffice to say this is a powerful platform and you should ensure all of your information is complete and you are using all of the options it offers to your advantage. Citations are simply the mention of the name, address, and phone number of a local business. Sometimes citations are linked, most of the time they are not. Citations are seen on local business directories, websites, social networks and in apps. Citations help potential customers discover local businesses and can have an affect on local search rankings. A good way to identify the important citation sites is to simply search on your keywords in Google and Bing. Where you see listings from directories, then there is a good chance this is a valid citation source. Adding your site to the local directories helps with SEO, but more importantly, helps customers find your business because they’re using the engines to search too! When adding your small business to an online directory, be sure you submit to the correct category and provide a sensible business description that includes your main keywords, plus services and location. Link and authority building are the most difficult and maligned aspects of SEO. The search engines still use links to help understand the relative authority of webpage and sites, but in local business, this is just one factor. Others are address, business category, and proximity to the searcher. You still need links, but it’s just smart to look at easy wins first. Links from suppliers & business partners. Sponsor local charities or clubs. Join relevant professional organizations that have profile pages. Relevant industry sites via submitted content (guest posts or a column for example). Partner with other local businesses. Offer testimonials or reviews (with a bio) to other local businesses. There are many authority and link-building tactics available; try to focus on building links where they will add value. This could be resource pages on a popular site or simply a listing on a relevant directory. You want the link you are placing on someone else’s web page to add value to your web pages. You may need to create content and offer it to a webmaster as a way to do this. Think about the type of content you can provide that will attract users and be seen as valuable to the webmaster you offer it to. Search engine optimization is not easy for any anyone, including small businesses. It can be hard to know which activities to put your efforts behind and which will deliver results. It also takes time. By focusing your initial efforts on the SEO basics covered here, you will get the maximum results from minimum effort. which focuses on helping WordPress owners get their security, SEO and site maintenance dialled in without breaking the bank. Looks like more and more searchers are seeing a brand new design test from Google in their core search results. This test shows a rounded search box that sticks to the top as you scroll through the search results. Yesterday we reported that the Google Search Settings page updated and removed the setting to define how many search results you want to see on a page. Well, it looks like the search settings page has been put back - Google reverted the change. At least for now.